Birthday parties are a pretty big deal in our family. We like to go all out to make this special day a memorable one. A few years ago we decided to have an Incredible Pizza Birthday Party for my daughter Aubrey. This was by far one of the best birthday parties we have ever had and it’s been hard to top. So this year when I asked Aubrey what she wanted to do for her birthday, she had one request. She wanted an Incredible Pizza Birthday Party. 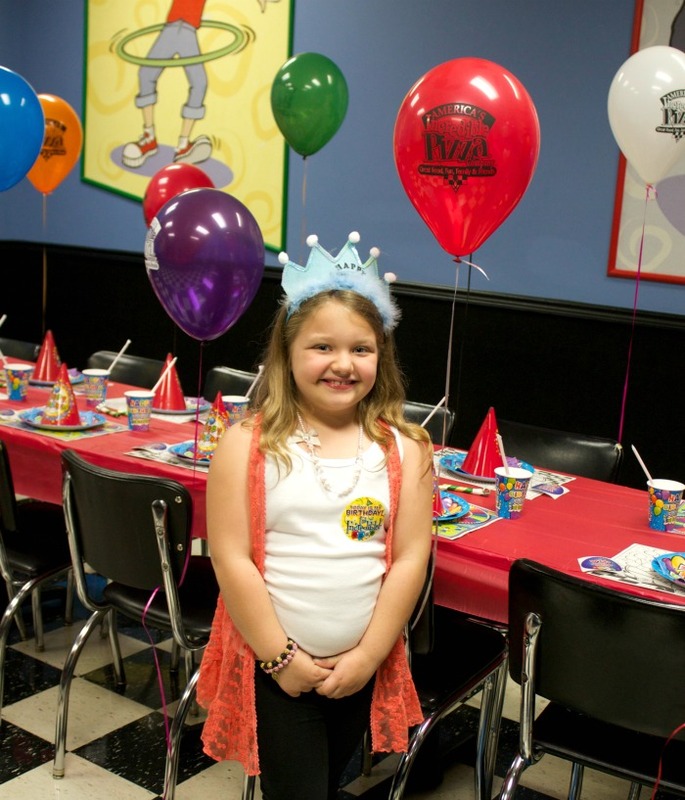 So this past weekend we celebrated Aubrey’s 8th birthday at Tulsa’s Incredible Pizza. It was the most laid back, stress free and fun parties we have ever had. 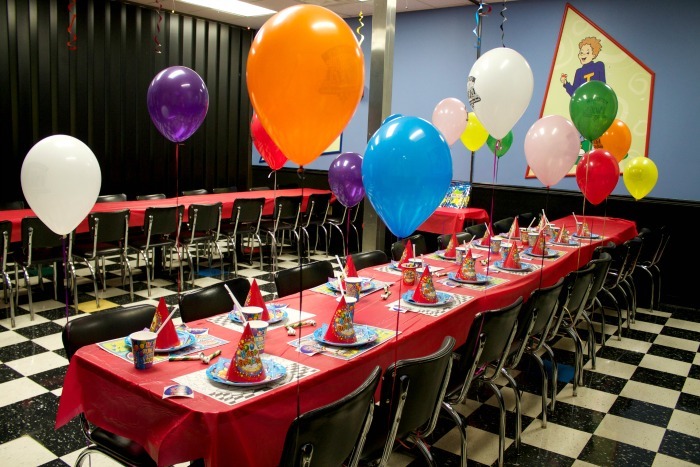 Incredible Pizza takes care of everything from start to finish when you plan your Birthday party with them. Everything can be done entirely online. It’s super easy and takes just a few minutes to set everything up. You simply pick your party date, the party package you want and any extras you would like to add onto the party. 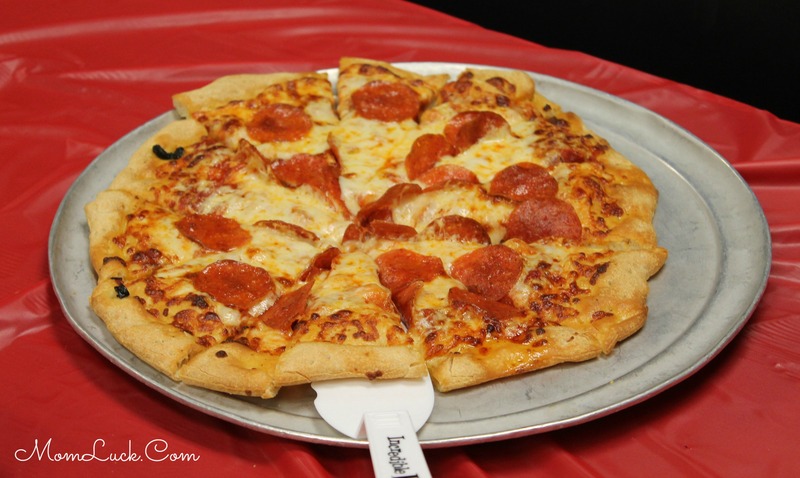 Once you have set the date/time for your party you just put a small deposit down (which goes towards your party) and Incredible Pizza does the rest. A few days after setting up the party online a representative from Incredible Pizza will call you to make sure everything is correct and if you have any questions. It’s by far the easiest party planning I have ever had to do. I recommend this package for a few different reasons. First everything is included. You won’t have to do anything other than invite guests and show up. Incredible Pizza takes care of everything. With this package the kids are going to get to experience not only 4 of their favorite attractions but also lot’s of video games. On the day of the party we arrived about 15 minutes early and were greeted by several smiling faces eager to help us have the best birthday party ever. 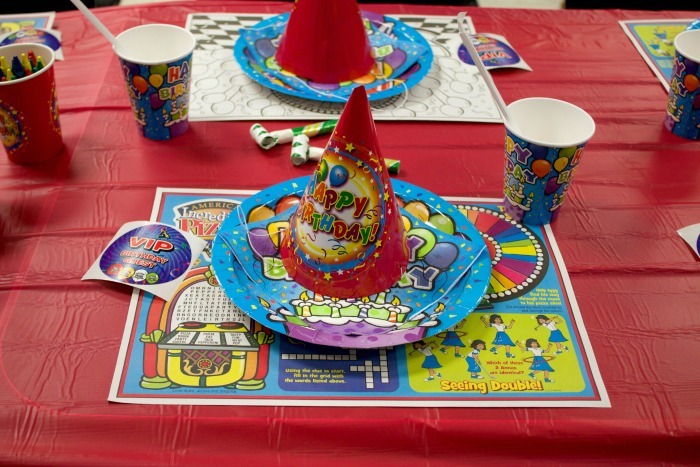 Each party gets at least 1 party host which will serve food and drinks to the kids, set up games and make sure that your party goes off without a hitch. You get 90 minutes in the party room which gives you plenty of time to eat, open presents, eat cake and play a few party games. 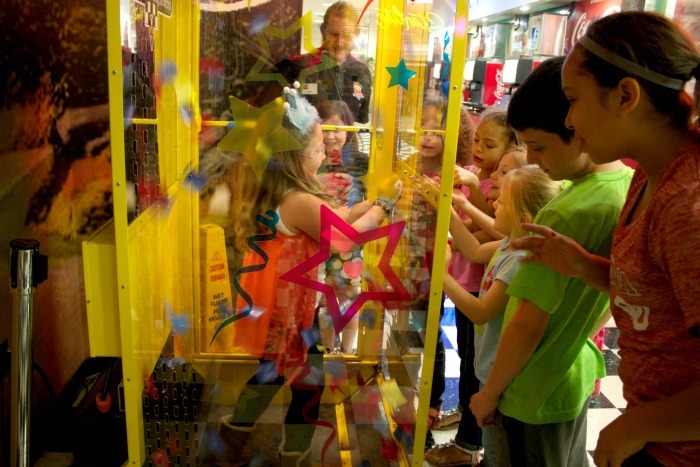 Towards the end of the party the birthday boy/girl will get a chance to head to the front of Incredible Pizza where they will get a chance to spin the Incredible Prize wheel and get in the ticket blaster. They will also be the center of attention when everyone sings Happy Birthday to them. Aubrey LOVED this part of the party and felt so special with all the attention. 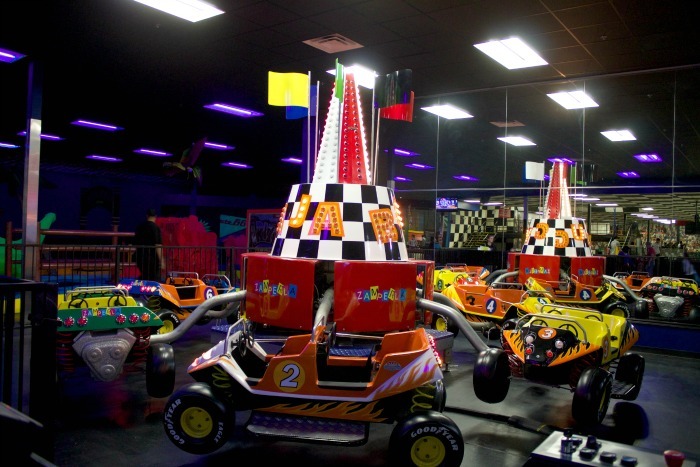 Once you’re done with the party portion of your birthday party, it’s time to head into the game area. 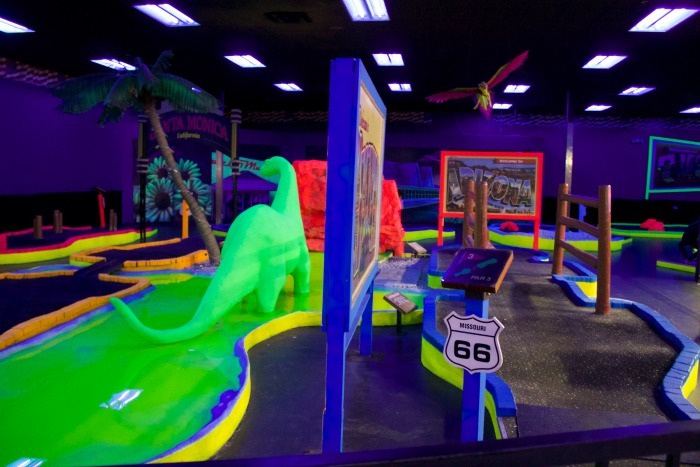 Lot’s of things have been added at Tulsa’s Incredible Pizza over the past year including a roller coaster. That’s right! 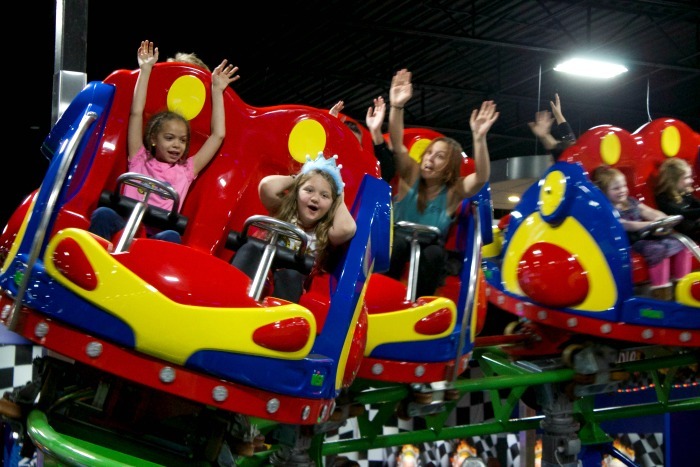 Did you know that Incredible Pizza has an indoor roller coaster?! It’s actually the first of it’s kind here in Oklahoma. No where else can you go and ride a roller coaster anytime, rain or shine. This was our first stop of the night after the amazing birthday party. All of the kids hopped on board and couldn’t wait to get going. Of course you can imagine what the ride sounded like with a ride full of 8 year old girls. They loved every second of it and as soon as they got off wanted to go again. 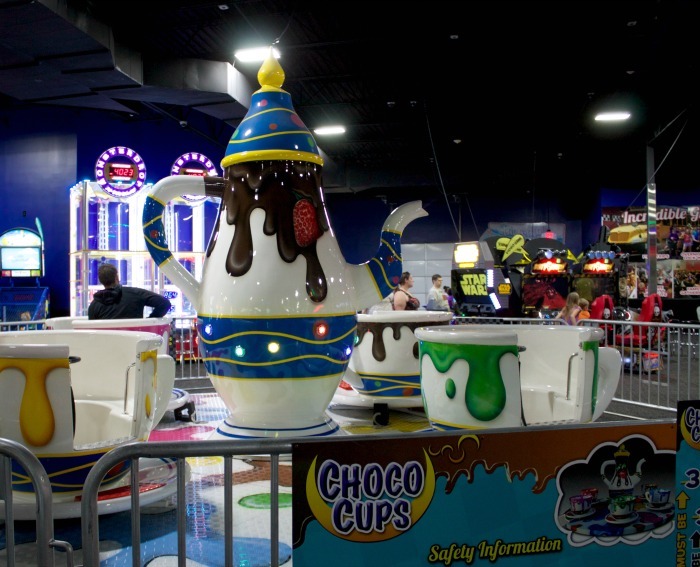 There are also several more attractions to choose from and those include the mini bowling, frog hopper, XD theater, Baja Buggy ride and Spring Town. Also for the little ones there is Tiny Town which has a play area and games that are more age appropriate for preschoolers. After we finished up our attractions it was time to use our game cards. Incredible Pizza has their games separated into two different categories. There are prize games and then video games. Each of these games have a flag on top of them to let you know which type of game they are. 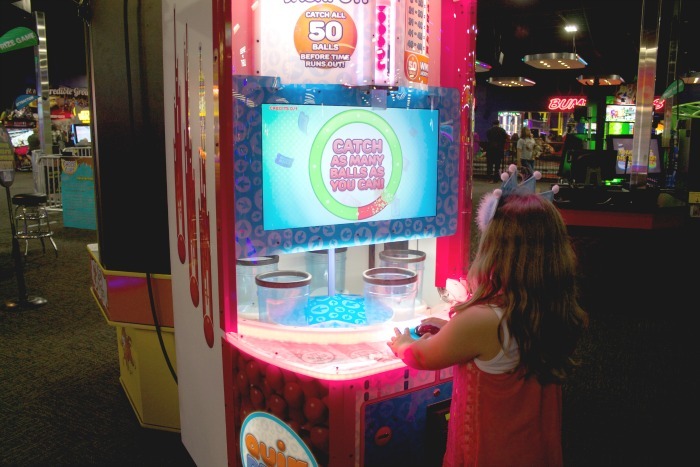 The prize games will give you tickets which can be redeemed for prizes. The video games don’t give tickets but they are a lot of fun. 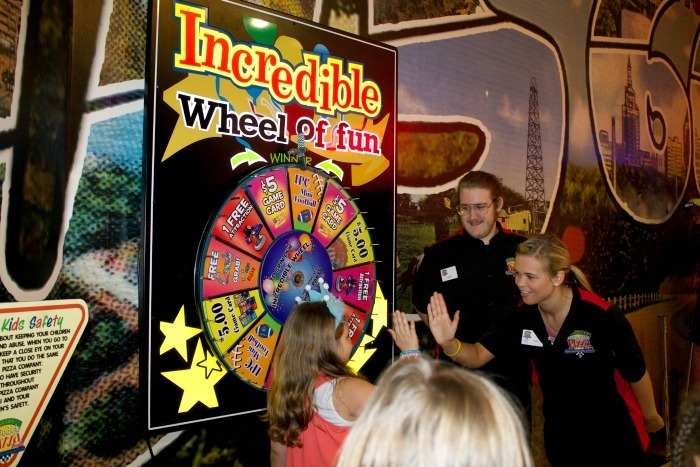 Incredible Pizza has a few different options on game cards whether you have a birthday party or are just visiting for some fun. Be sure to ask about the 2 hours of unlimited video game time! The game room is also fully staffed so if you need to refill your game card, have an issue or just need to ask a question there is always someone around to help. We all had an amazing time celebrating Aubrey’s 8th birthday party at Incredible Pizza. It was definitely one for the books. If you’ve never had a birthday party at Incredible Pizza I highly encourage you to check out their packages. They have parties for every budget. 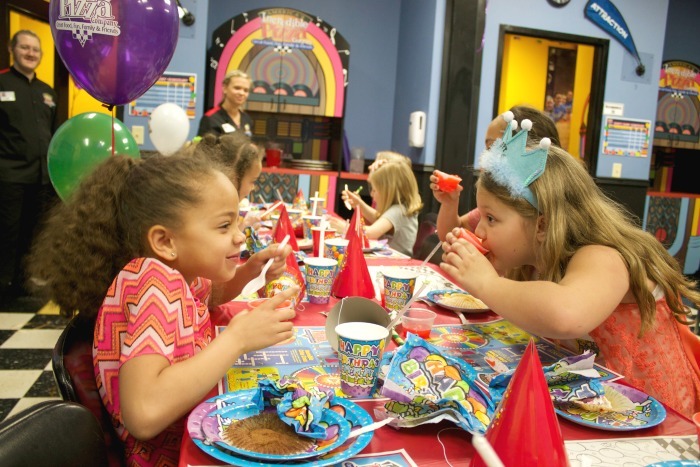 For more information and to learn more about these Incredible Pizza Birthday party packages you can visit them online at TulsaIncrediblePizza.com. *Incredible Pizza provided me with a complimentary Incredible Pizza birthday party. However all opinions expressed are my own. I’ve never heard of Incredible Pizza but it looks like a fun place for a kid to have a party. Okay this is THE COOLEST place to have a party. Can you please ask them to open one in Florida lOL.